iTech – Blog: iOS • Android • Windows • Mac • Game • Technology » How do four indie devs make two great games a month? Since the beginning of April, Sokpop has released three games and a photo editor for your phone. In the same time frame, I have released no games and maybe done my laundry twice. Sokpop is a Netherlands-based indie collective made up of four game designers. You may recognize some of its larger games, notably bernband and Original Hill Farming, but I’m focusing on Sokpop’s Patreon, which the group started earlier this year. For three dollars a month, patrons are sent two short games, usually playable on both Mac and Windows. 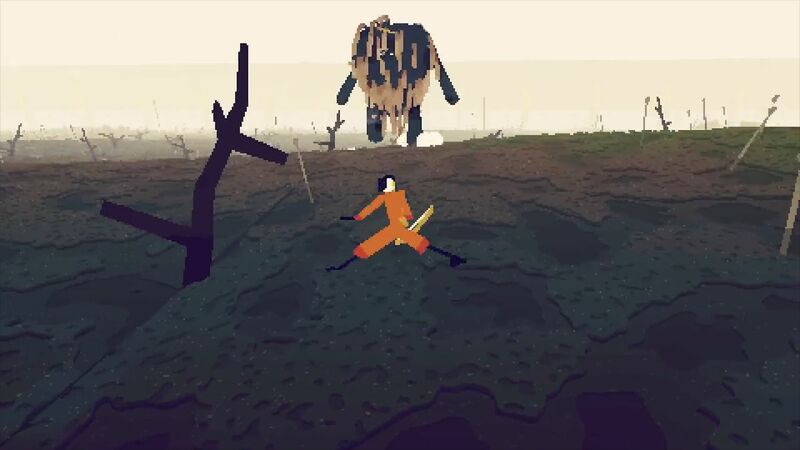 These games range from chill, experimental games like driftwood to spell-casting brawlers like Hoco Poco. The only connecting thread is the crisp, pixelated aesthetic and the fact that they will always surprise you. None of the games gives you much in the way of a tutorial, but after a few minutes of puttering about in the world, everything starts to make sense. 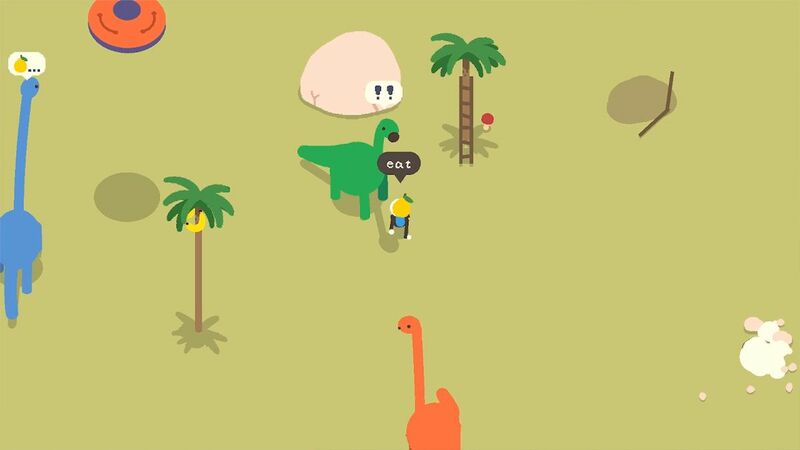 In dino game, you are a stranded astronaut attempting to get back into your spaceship, but you have to figure out how as you play around in the space. That mushroom? If you eat it, you’ll get more stamina to cut down trees. Then you might be able to feed some fruit to a brachiosaurus, who in turn can help you onto your ship. With only a few buttons and a very simple goal, dino game became something I wanted to replay in order to figure out everything I could do in the world. In one playthrough, I just climbed ladders to grab bananas. Another playthrough, I broke an egg on a geyser and felt really bad about it. The beauty of getting two new games a month is that you never know what the content will be, but you begin to recognize the quality that comes from the developer. And for just two weeks of turnaround, Sokpop’s games are consistently high quality. The main issue I have with Sokpop is that I have had to make and remake this video about three times because of all the new games that it’s released. Hopefully, this post will stay current for a few more days before Sokpop inevitably publishes some puzzle platformer or “asynchronous online multiplayer pokemon-like dungeon crawling king of the hill game with permadeath and turn-based battles” (which is the description for one of its past games). You can find out more about Sokpop on their website and their Patreon.